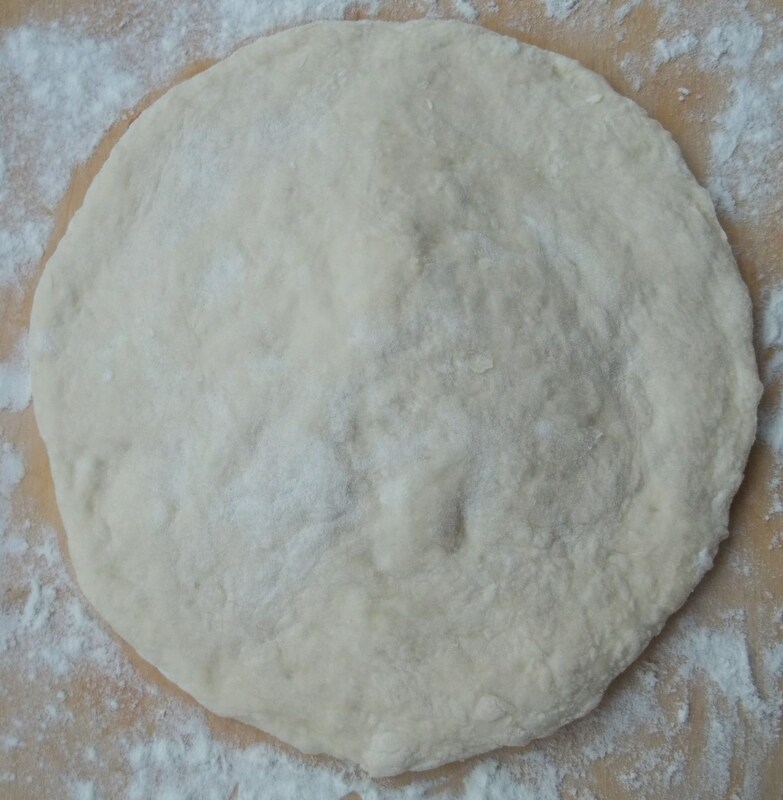 Khachapuri (Georgian: ხაჭაპური) is justifiably considered to be one of Georgia’s national dishes and is popular in restaurants and in homes. There are several different regional types and it can be made with a variety of fillings. 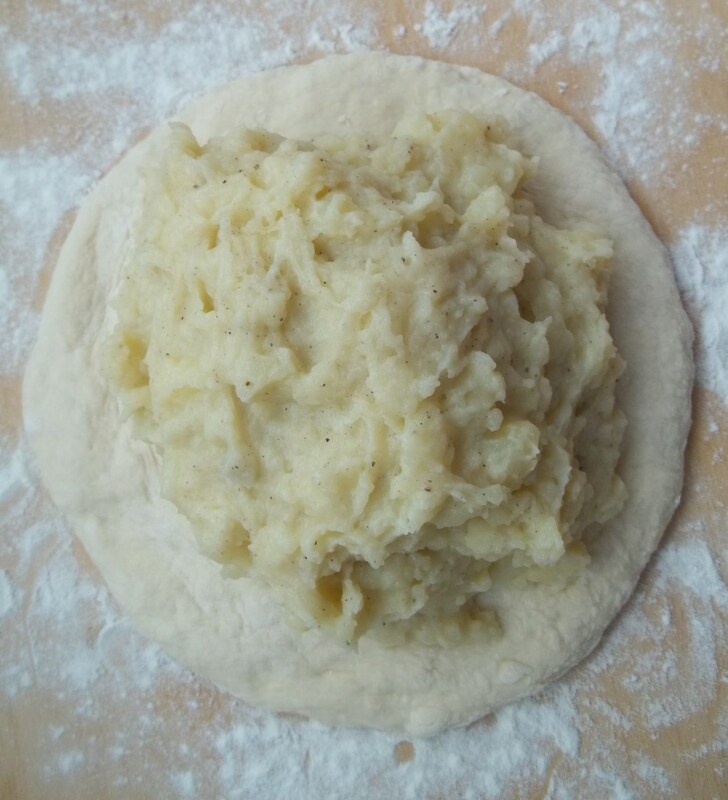 In this recipe we show how to make a khachapuri filled with potato. 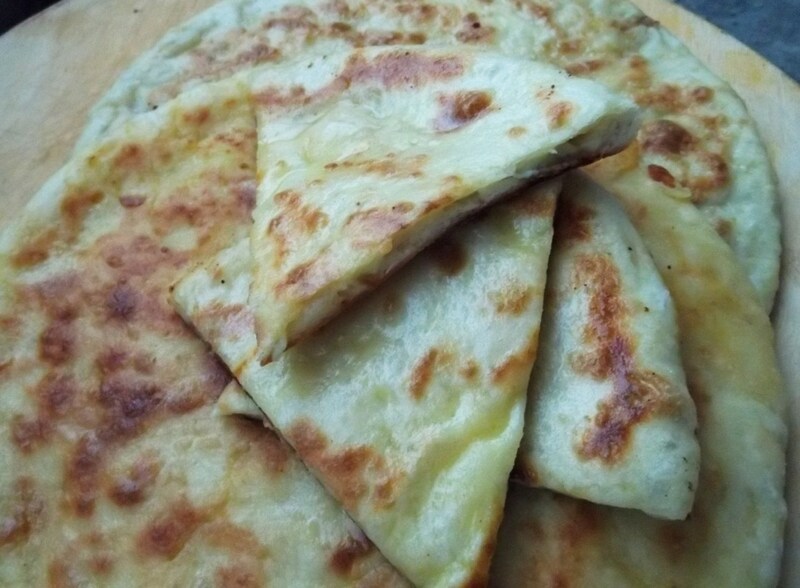 This type of khachapuri is a popular meal in South Ossetia and Racha. Ingredients for the filling: 6 potatoes, black pepper, 70 grams of butter, 50-70 ml of milk and salt (amount dependent upon individual preference). 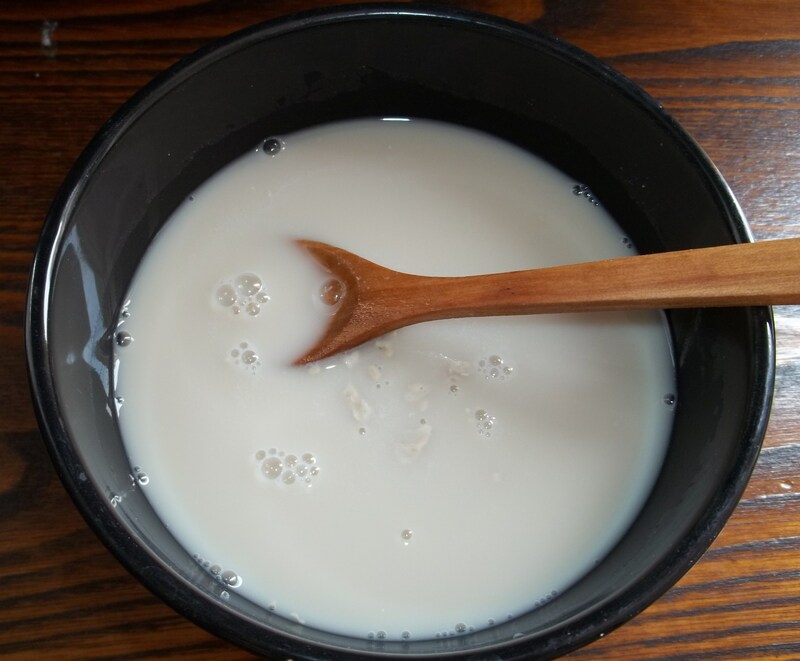 Warm 300 ml of water or milk to 35C and add to a bowl. Stir in the yeast. 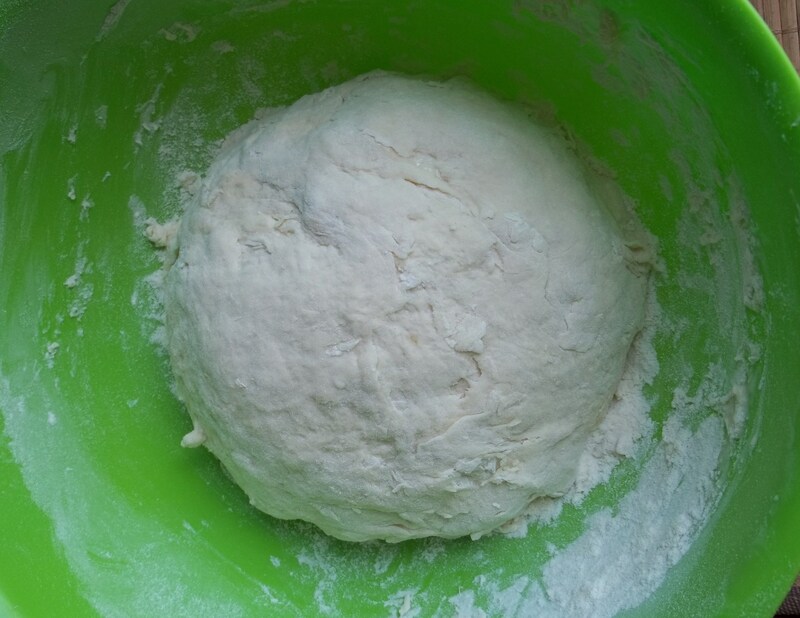 Add 600 grams of flour to a mixing bowl and make a depression in the flour. 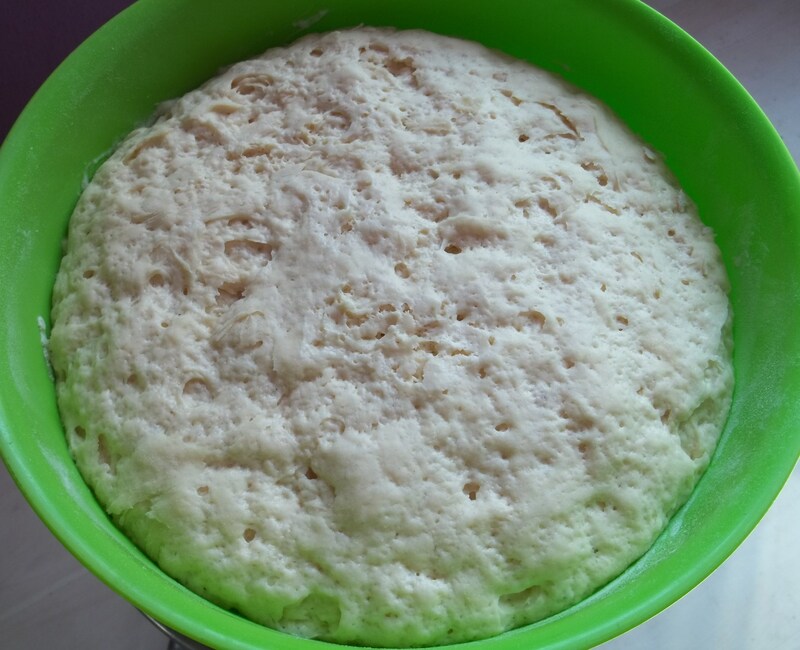 Add the yeast water, milk and a raw egg. If you want the khachapuri to have a golden color you can add 1 tsp of sugar. 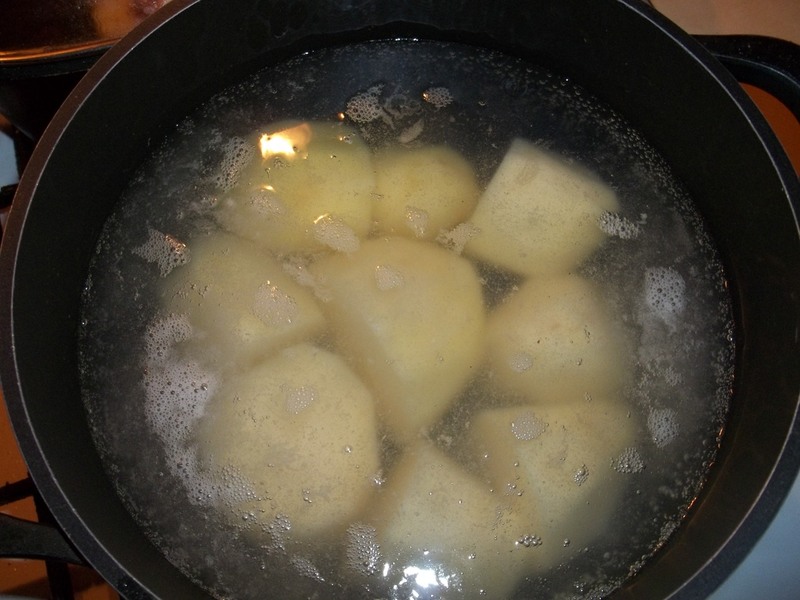 Preparation (potato filling): Peel, cut and boil the potatoes. 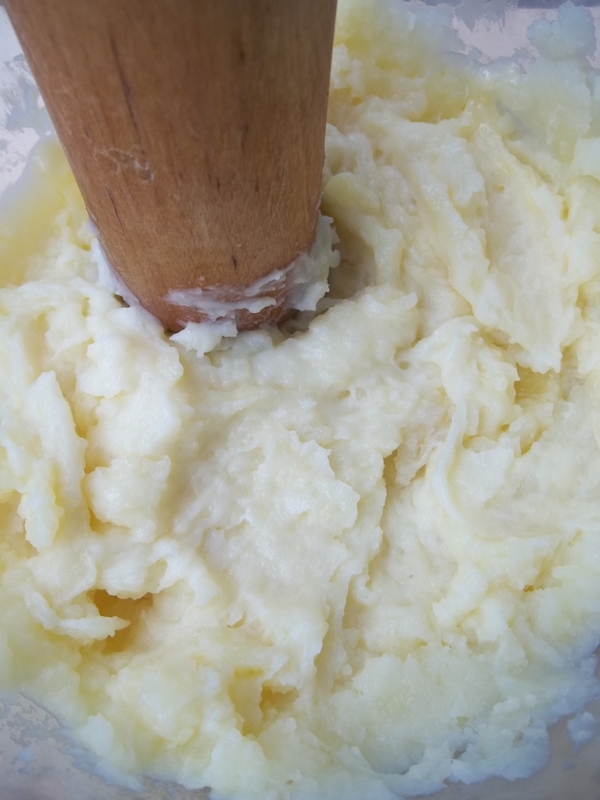 Transfer the boiled potatoes to a mixing bowl, add 70 grams of butter and mash the potatoes. 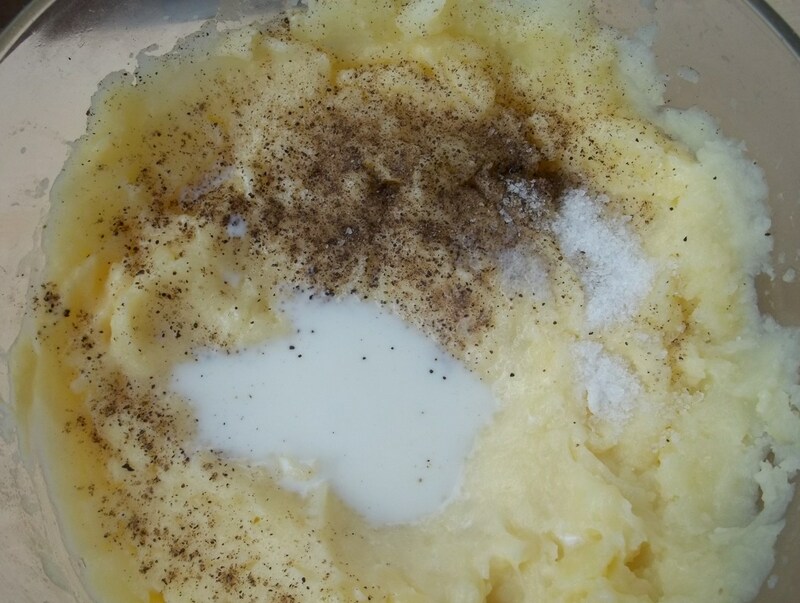 Add the black pepper and salt to the mashed potato. Gradually add the milk as you mix. 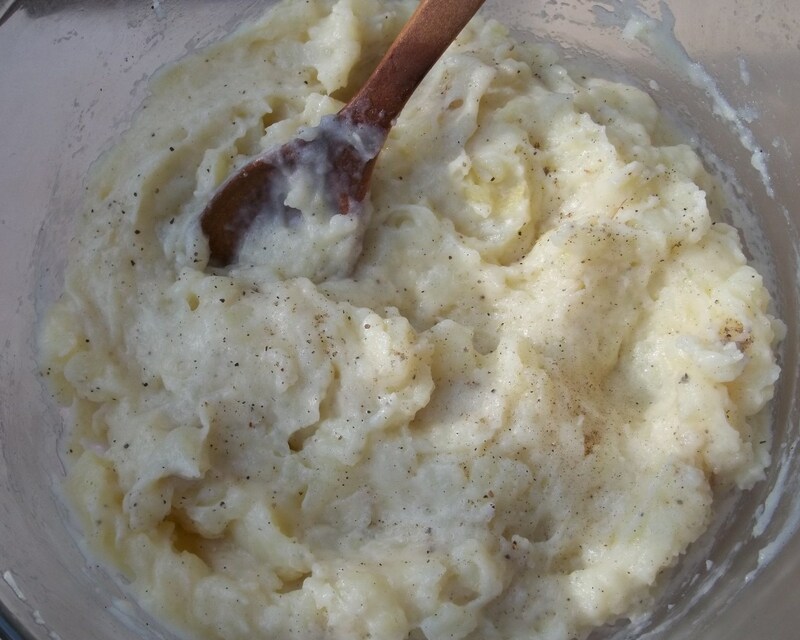 The mashed potato should be fluffy, not runny. 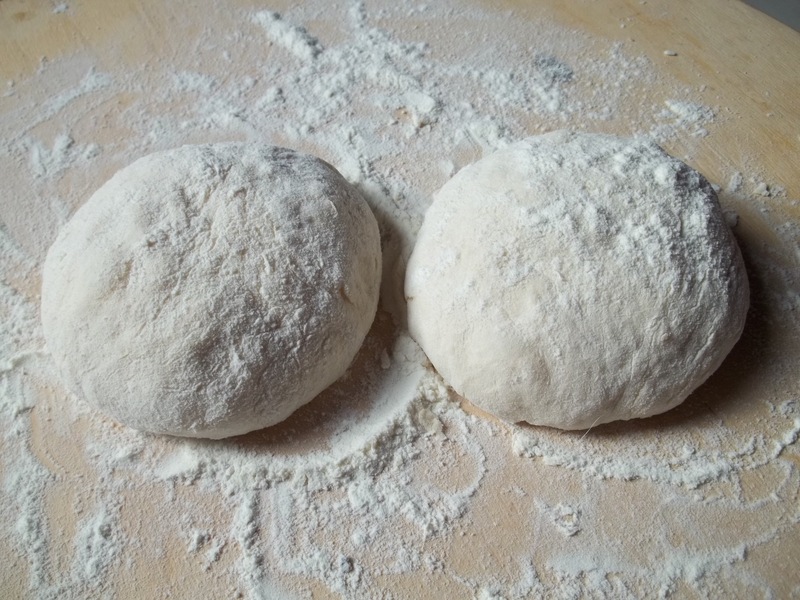 After two hours in a warm place the khachapuri dough should look like the picture below. Add a quarter of the potato filling. 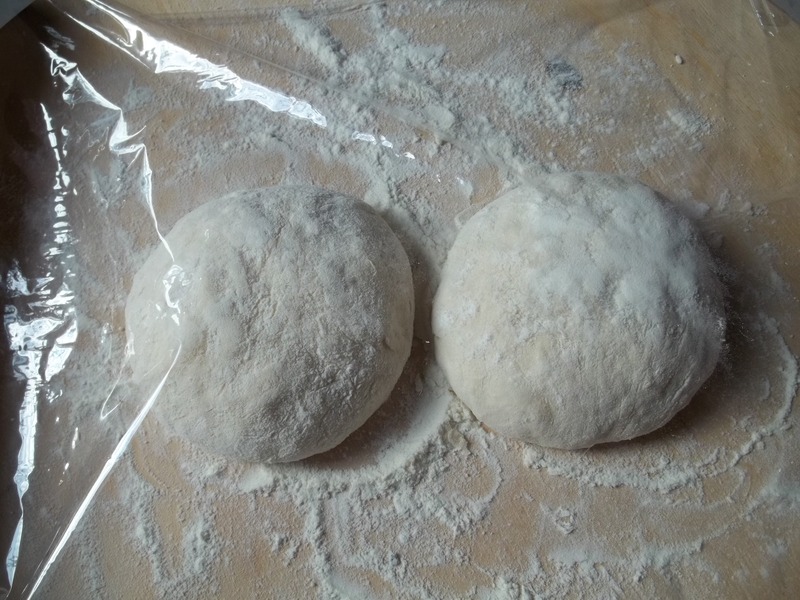 Carefully fold the edges of the dough over the filling and seal by pressing the edges together. 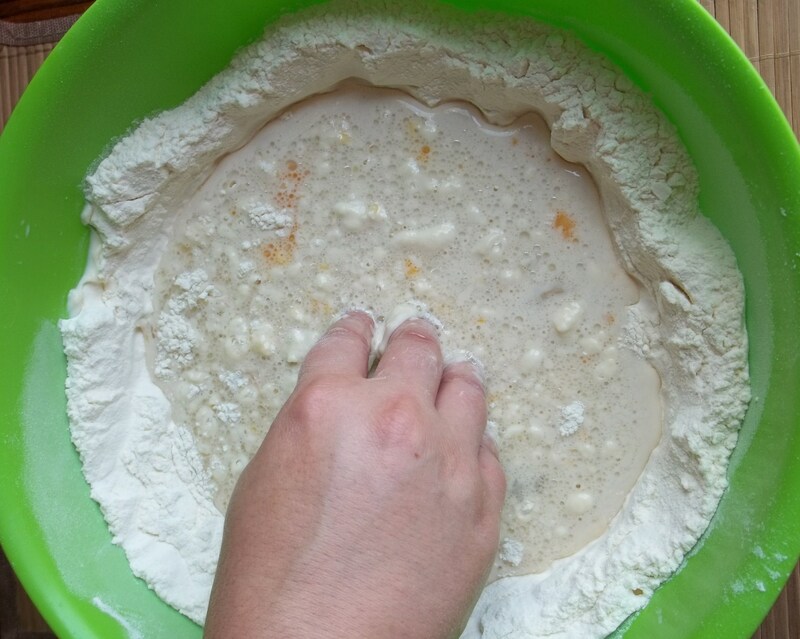 Pinch the top together to fully seal the dough. 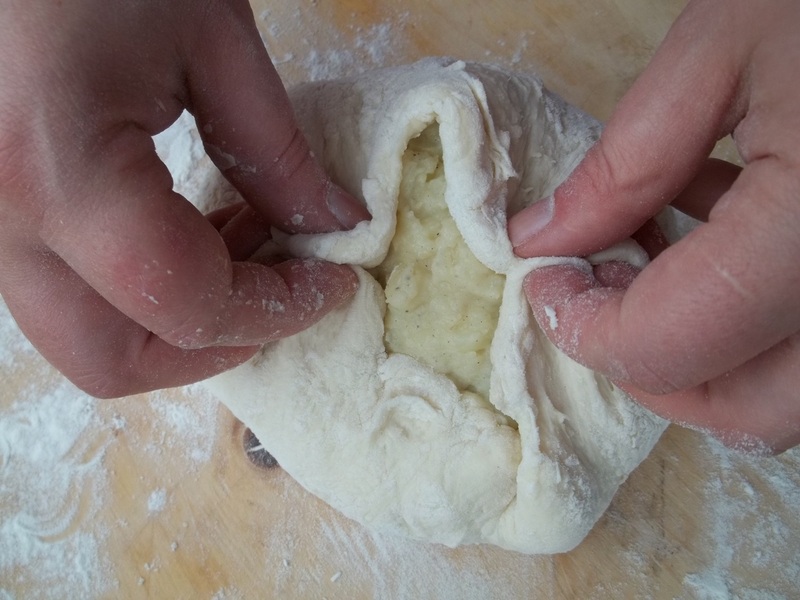 Very carefully flatten the filled khachapuri into a circular shape and place in a pan. 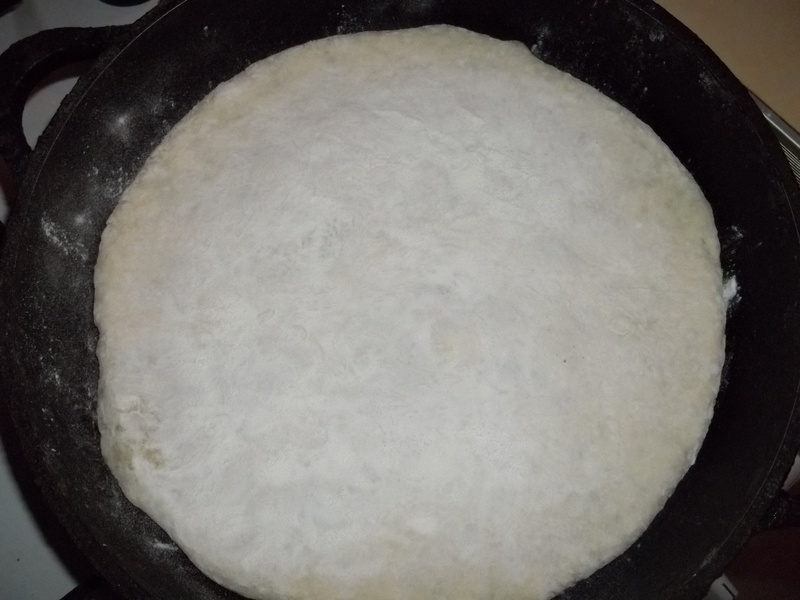 Complete the flattening process until the khachapuri fully covers the base of the pan. 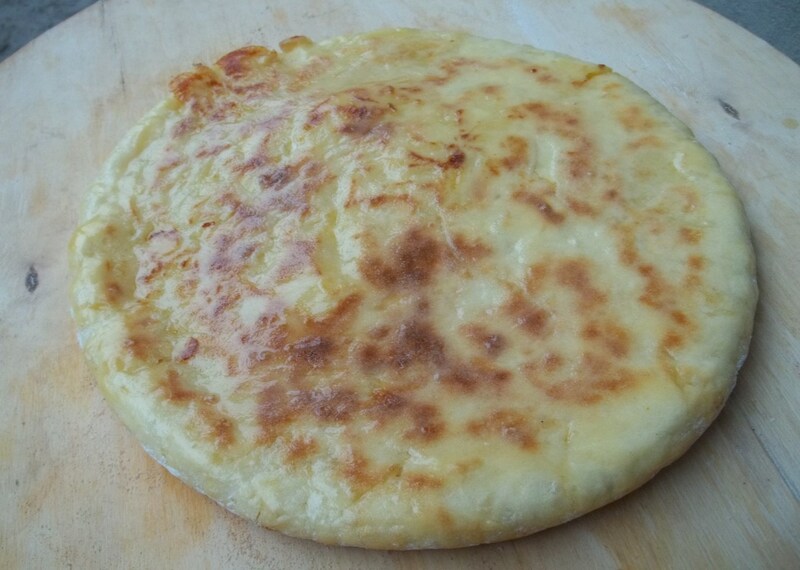 The khachapuri should look like the picture below. Cook on an medium heat for 5-7 minutes, then carefully turn it over and cook for a further 5 minutes. 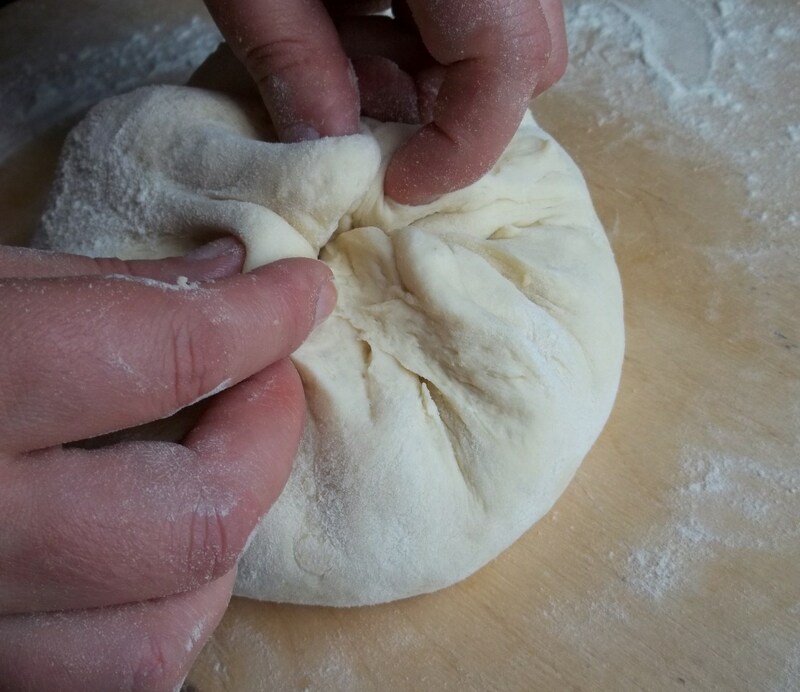 Repeat the process to cook each khachapuri. 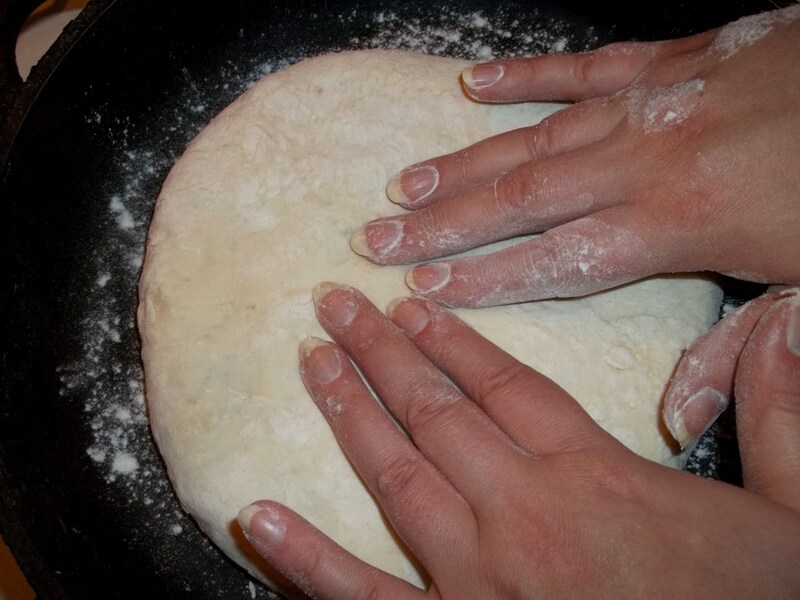 Serving: Brush the top of the khachapuri with butter and serve immediately. Enjoy your khachapuri with potato filling! Afraid I’m going to have to make two batches, though – I can’t resist the thought of ‘westernizing’ one batch with crumbled fried bacon and fried onions added to the filling.